.. uses electromagnetic radiation of 240 to 1.800 eV with wave lengths in the order of 7 nm to 0.7 nm, defining the physical limit of resolution. 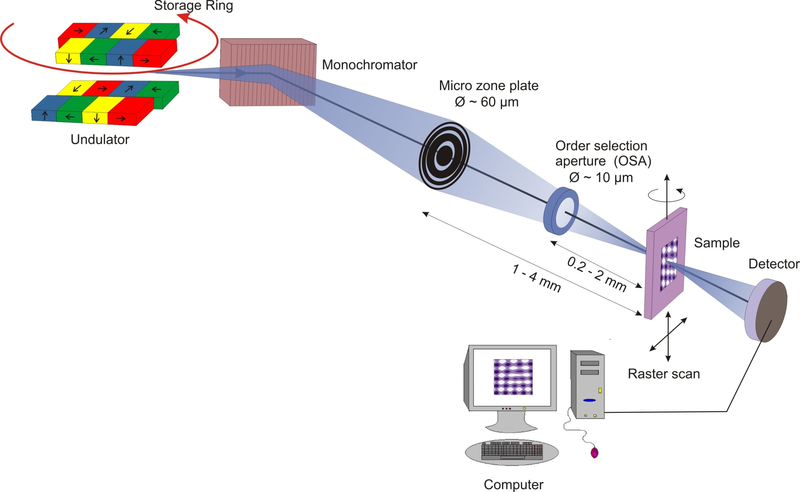 X-rays emitted from an undulator as insertion device in an electron (or positron) storage ring is monochromatized and focused onto the sample by a zone plate, whereby the selected order of diffraction is selected by the OSA ring. Since 2011 the new endstation MAXYMUS ( MAgnetic X-raY Microscope with UHV Spectroscopy) operated by the MPI-IS is open for users. 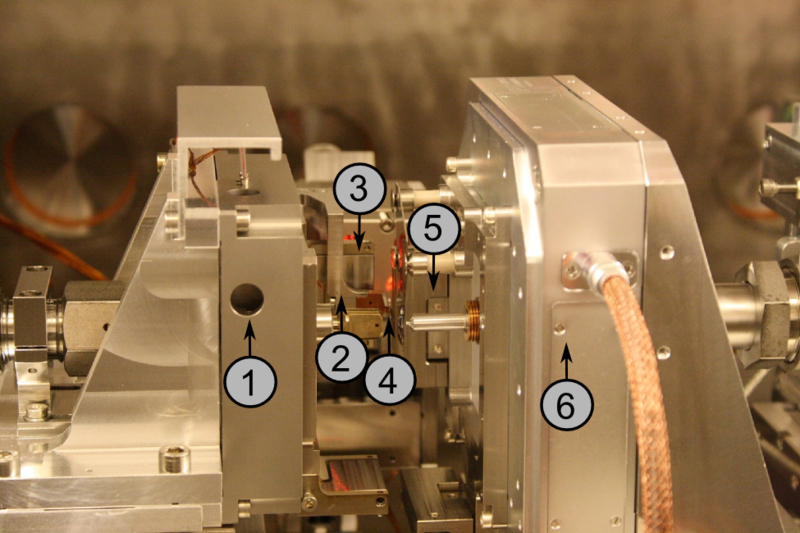 Due to the UHV condition the absorption of the x-rays can be also monitored via detection of the total electron yield (TEY).